Composting usually is thought of as a suburban gardener’s habit. But can office and commercial buildings compost? Yes, in fact they may be in the best position to do so. Can you find organic waste in your office space? How to get things going? It will be important to give importance to staff education. We all know what happened when ‘Penny’ (you know, the earth friendly person at work) set up the colour coded recycling bins. It was great at the beginning. But ‘Matt’ never caught on. He still puts paper in the cans bin. So, well-labelled colour-coded bins can help. But you may want to add some humour to the signs…make if fun. 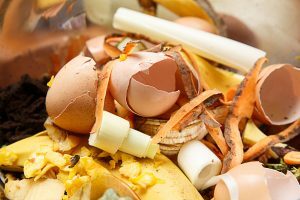 Ultimately it is better to have a few misplaced compostable items go in the garbage bin than having to pick out garbage from the decaying compost bin. So maybe it would be smart to keep the bins in different locations. That way, those that compost will do it right, and those that don’t won’t sabotage the plan. Disposable bins: These containers are made of compostable material, so you can dispose of it when your done. They could cost around $20 for a set of 10 small bins. Reusable bins: There are both smaller indoors and larger outdoor versions, usually made of plastic. A compostable bag liner is usually used. Did you know: Some municipalities offer rebates on composting bins, as they want to encourage the practice. For example the RDNO offered a $30 rebate from March 17 to September 30, 2015. They also offered a free workshop to give tips. Keep in touch with your municipality for offers. Where to take it. Paid compost collection services can be used. Another option is to have a staff member in charge of dropping off the weeks compost to the municipal official collection location. But the best option may be to use it. If the office has a outdoor garden, make the plants pop with life by placing it in the ground. You might want to investigate more about the use of compost in gardening…. we are struggling to keep our indoor plants alive, so we are not the experts in that area. Do you have any composting tips? Start composting now and let us know how it’s going.